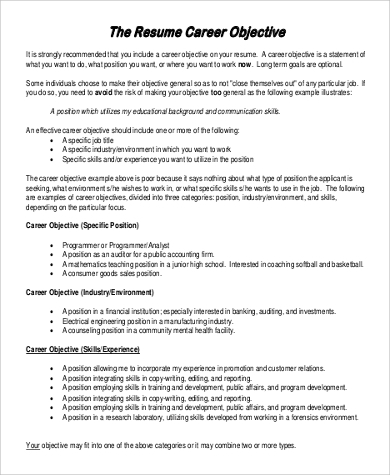 A resume objective basically states what you want to do, what position you are aiming for, or where you want to work. They are statements that are written as one sentence. These are perceived as crucial since they are the first section that a recruiter would see, so you should analyze what you need to put in that sentence. These statements let the recruiter immediately know what your goals are with just a few lines. 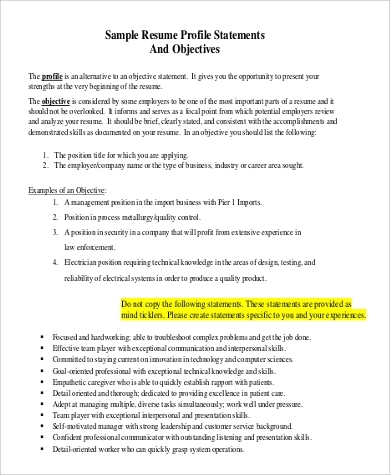 The Sample Objectives featured here serve as a guide on how you should write your resume objective. With a wide variety of samples for different positions, you are sure to find one that suits the career that you want. 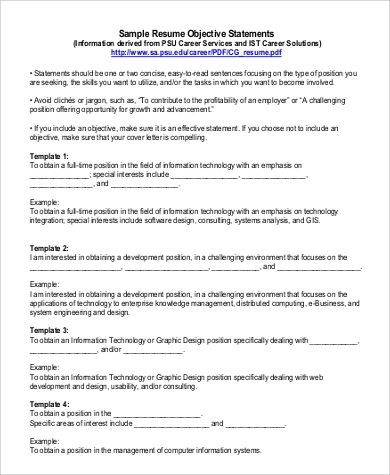 Objectives express a candidate’s intention about how he/she would fit in the position. These are backed up by his/her skills, qualifications, and achievements. Your career objectives are used by employers as a tool to match your goals with the company’s needs. It has to be effective enough to make the recruiter continue reading your resume. 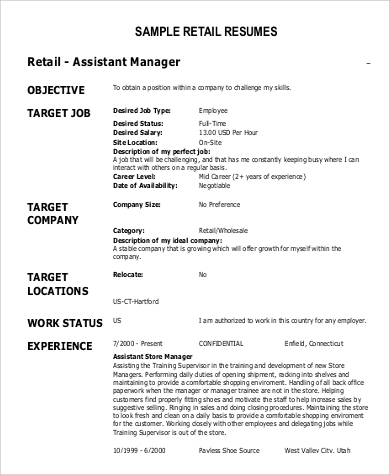 What makes a good resume objective? Thoroughly analyze what you want to put on your resume objective. This will act as a guide for when you are starting to write it. It must be short and concise. Limit it to just one sentence. Even with just one sentence, provide enough information to make employers see that you are in line with what the business is looking for. Make your objectives specific. It gives more value if you mention what job you want to do and what industry you want to be a part of. This also means that you must tailor fit your resume objectives for each job application you send. Use a formal and professional tone in writing it. Keeping these things in mind will help your resume stand out from others. 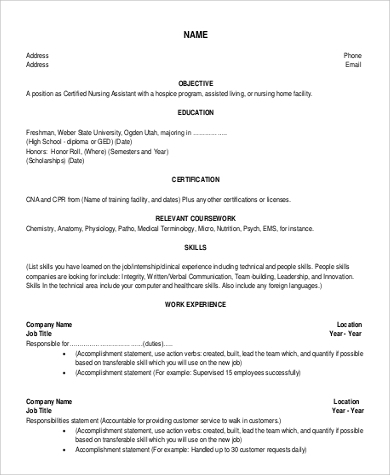 Who Can Use Resume Objectives? Resume objectives are a great way to start your resume, but it’s not always applicable. 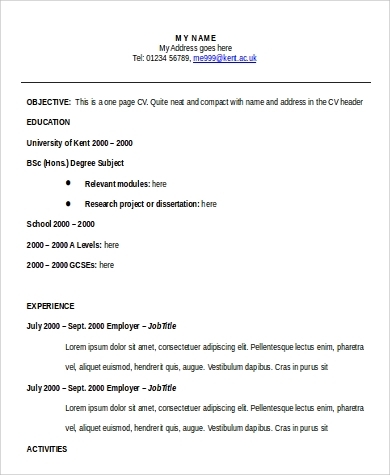 So who needs to have objectives presented in their resume? Job seekers who lack experience. Job seekers who are in the midst of a shift in career. 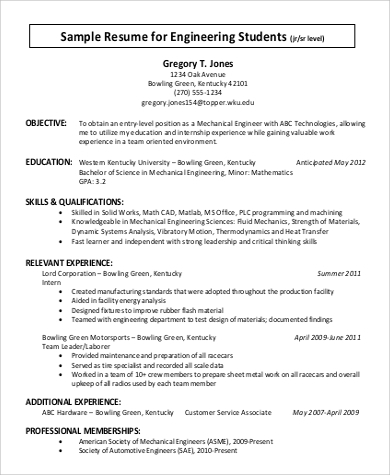 Aiming for a specific job or position. If you fall into any one of these, then using resume objectives is essential when you are writing your resume. 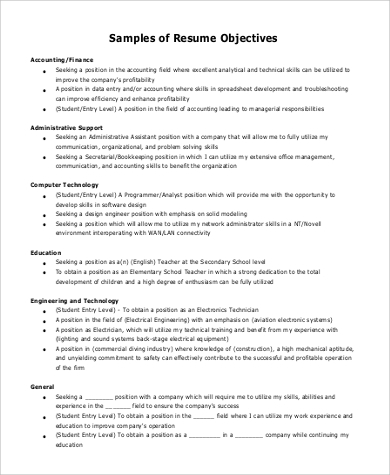 You may also see Sample General Resume Objectives and Resume Career Objectives to see more resume objective samples. Catching the attention of a recruiter is your initial aim when you are drafting your resume. Putting a strong objective on your resume would do just that. 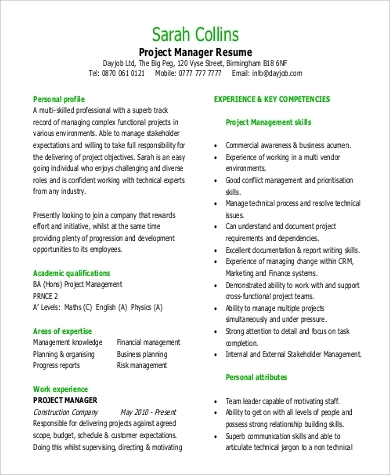 Resume objectives are at the top of your resume and they should give an immediate impression that you are the one their company is looking for. These statements gauge whether you are a candidate worth an interview or if your resume will make a good addition to the scratch pile. Our objective samples for your resume will be your best guide when it comes to writing your attention-catching objectives. With the use of these examples, it can help you build an excellent resume that could launch your career. 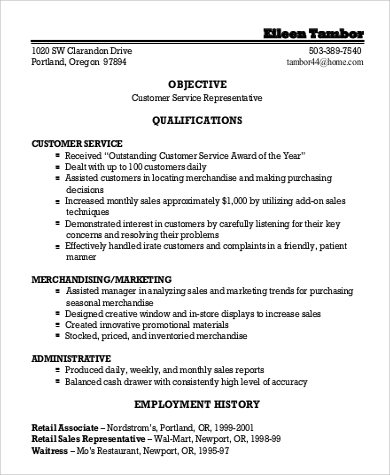 You may also see Sample Good Resume Objectives.